With more than 25 years of experience, Grayleaf Studio offers luxury zinc, copper, pewter and other natural metal interiors handcrafted to combine art with design. Every project is created and forged with an individual choice of edge profile, metal and finish, making each a unique and beautiful work of art. 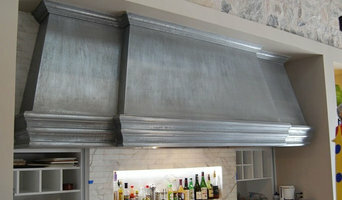 Working in partnership with designers, builders and residential clients, Grayleaf Studio offers one-of-a-kind designs for range hoods, countertops, fireplace surrounds, entry doors and more. From luxury custom residences to award-winning restaurants, country clubs and retail, Grayleaf Studio also provides custom services for interior designers and homeowners across the country. Each production is a beautiful and functional work of art. We are registered contractors for residential/commercial window tinting / window films. Shane has been installing window tint in the valley since 1989, and we have been in business since the start 2008. We specialize specifically in window films and can help you choose the perfect film for the windows in your home to ensure you get the outcome you desire. Our company only hires experienced, professional installers who perform at a high quality standard so that you can be confident in choosing us for your home window tinting project. Authentic Pizza Ovens offers a range of beautifully crafted handmade brick wood fire pizza ovens from Europe. Our quality of wood fire pizza ovens are among the best in the world. We over styles of traditional triple insulated brick ovens which can be built in, tiled or painted to more modern sleek portable ovens. Keeping you comfortable with expert Heating, Cooling & Plumbing Service Since 1974. Parker & Sons has been serving homeowners and businesses for over 40 years and is recognized nationally for being one of the most knowledgeable heating, cooling, plumbing, and air quality contractors in the industry. Serving Maricopa, Pinal, and Gila Counties, Parker & Sons continues after all these years to maintain a picture perfect record with the Better Business Bureau. We have been recognized with local and national awards and certifications. Today the same old-fashioned quality and workmanship still exists at Parker & Sons and it’s nurtured with rigorous skills and customer relations training programs. In fact, many members of our company helped design the quality audit program to insure 100% customer satisfaction. So call today for all your cooling, heating, plumbing and indoor air quality needs… and you can join the thousands of Valley residents that have received “comfort today or you don’t pay” backed with our exclusive 100% customer satisfaction guarantee. Woodland Custom Beam Company the designs and crafts decorative wood beams in Phoenix and surrounding areas. Several builders and trades know the quality of our product. Woodland Beam is a custom beam company that provided real wood beams. Our company builds box beams, which are lighter than normal beams and can be added to virtually any structure. Our Box Beams are lighter and easy to handle became they are hollow. Our wood box beams are unique in way that they are made from quality woods and handcrafted. Mike Capuzzi, the creator of Woodland Beam, built the company in Arizona, and today is known as the top wood beam company. We specialize in designing and building custom architectural and ornamental wood and metal designs. Striking Stone custom engraves, carves and etches stone, tile, marble, granite, flagstone and glass. We take great pride in creating the highest quality products for our customers with personal service. Visit www.strikingstone.com for more! Our traditional hand sandblasting process along with modern computer guided template cutting equipment creates artwork that is highly detailed and precise while maintaining hand-made quality. We are the Southwest's industry leader in fine art and furniture storage, delivery and installation. We work with private residences as well as corporate clients and are the partner of choice for top interior design firms in Arizona. For over 25 years, we have provided unmatched expertise and dedication to our clients. Our motto, as always, is "Every Detail Every Time"
One Call Pest services commercial and residential sites in the valley of the sun. We are your one call for everything pest! Our services have expanded and now include pest control Mesa AZ, rodent extermination and pest control in Scottsdale AZ. We even offer our residential pest control and extermination in Glendale AZ. Scottsdale's Interior Design industry relies on Get Your Move On to receive, warehouse and install on time and without worry. We handle fine furniture and artwork carefully and our trained servicemen will be attentive to our clients every detail. Our pampered pad-wrapping process leaves a lasting, good impression -- the perfect finish to a pleasant buying experience. Full service flooring store located in Surprise, AZ. Serving Maricopa County and specializing in the Sun City area. Licensed, Bonded, and Insured. Whether you’re looking for a team of Fountain Hills, AZ professionals or a handyman for a small renovation, you’ll find dozens of professional profiles and contact information for specialty contractors here on Houzz. Here are some related professionals and vendors to complement the work of specialty contractors: General Contractors, Landscape Contractors, Architects & Building Designers, Interior Designers & Decorators, Kitchen & Bath Designers. Let’s say you want to install custom wood flooring in your dining room, and you’ve found a Fountain Hills, AZ company with excellent reviews. Next you’ll want to contact the company and make some inquiries. Find specialty contractors on Houzz. 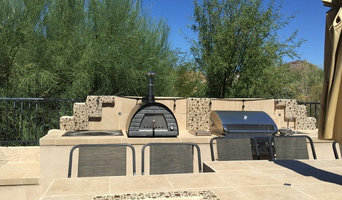 Look in the Professionals section of our website under Fountain Hills, AZ specialty contractors, then select the nearest metro area for a contractor. 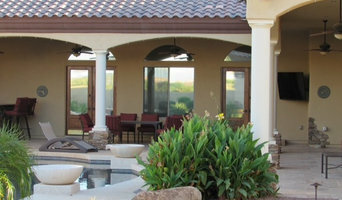 You can also look through Arizona photos of completed projects to see how a contractor might approach design challenges.